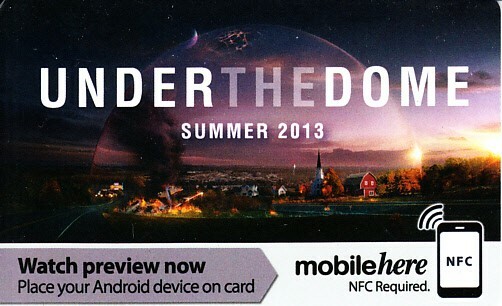 Plastic gift or credit card size promo card for the CBS TV show Under the Dome distributed exclusively at 2013 Comic-Con in San Diego. MINT. ONLY 3 AVAILABLE FOR SALE.